An Evening at the Cabaret – Video Premiere! 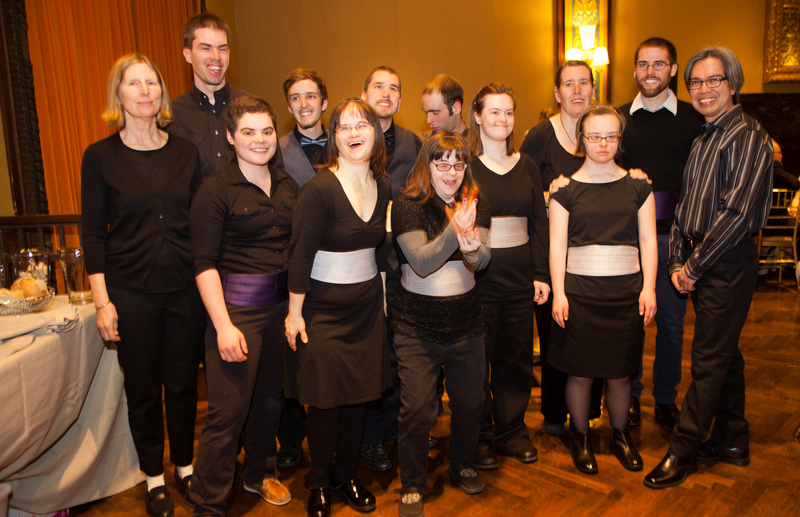 On Thursday evening, April 30, 2015 the Heartbeet Chime Choir had the honor of performing at the Camphill Cabaret. It was a magical evening! Heartbeet friends and family came out in droves for this amazing and classy event. The Camphill Cabaret took place in a large rococo ballroom in the heart of New York City. When the chime choir took the stage they brought the Vermont vibe and the Heartbeet spirit to the Big Apple. Directed by Onat, the chime choir performers were Annie J., Jared, Ann B., Suzannah, Brittany, Sequoya, Connor, Lelia, Jon, Johannes, Victoria, and Morgan. Together they performed beautiful and heartfelt renditions of I Love the Mountains and Scarborough Fair, followed by Imagine during which Jared sang solo while others signed the words. They brought the house down. The “live ask” directly followed the performance and in three minutes the audience raised almost $50,000 towards the Heartbeet Community Center! What a show of hands for Heartbeet! We extend our deepest gratitude to the Camphill Foundation for the invitation to perform and for their continuing support of the Heartbeet Community Center Project. Thanks also to our gracious overnight hosts, Triform Camphill Community and Warren and Amy Gleicher. Previous PostPrevious Baby Valentine born on Valentine’s Day!